IKO Polymeric received planning permission to build a 4,500m2 warehouse at their Clay Cross site last year. The new warehouse will provide the company with another competitive edge to respond to demand faster and more efficiently. The new building, which will store finished goods only, will allow extra space in the existing warehouse to stock raw materials to ensure effective production planning at a time of rapid expansion. The new warehouse also benefitted from modern construction methods. Kingspan’s composite roof and wall panels were used for the building envelope. 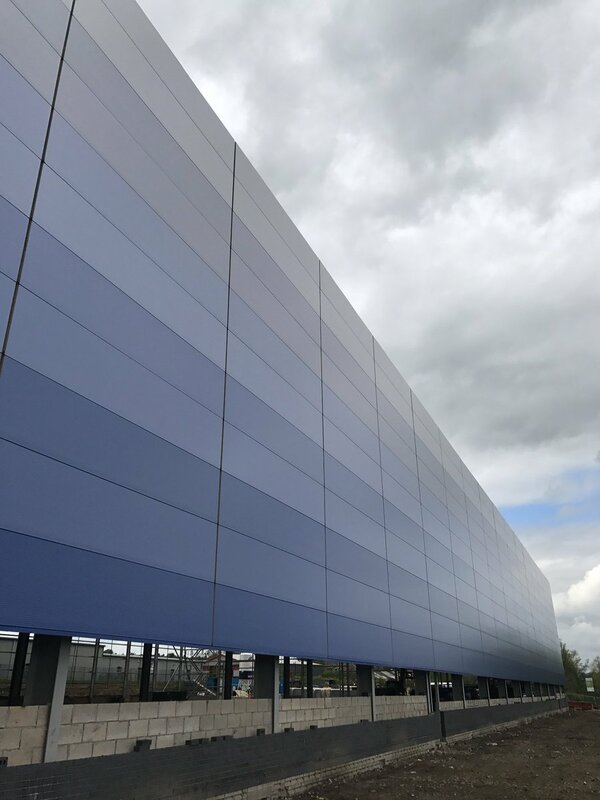 IKO Polymeric supplies Kingspan with their Armourplan PVC membrane as the waterproofing layer of their Topdek system, ideal on such fast-track commercial projects. 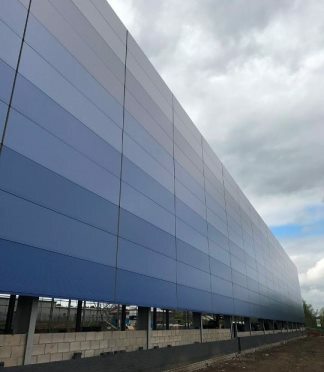 The building’s design incorporates wall panels with varying shades of blue, a welcome change for the planners who were keen to avoid another grey building in the area! 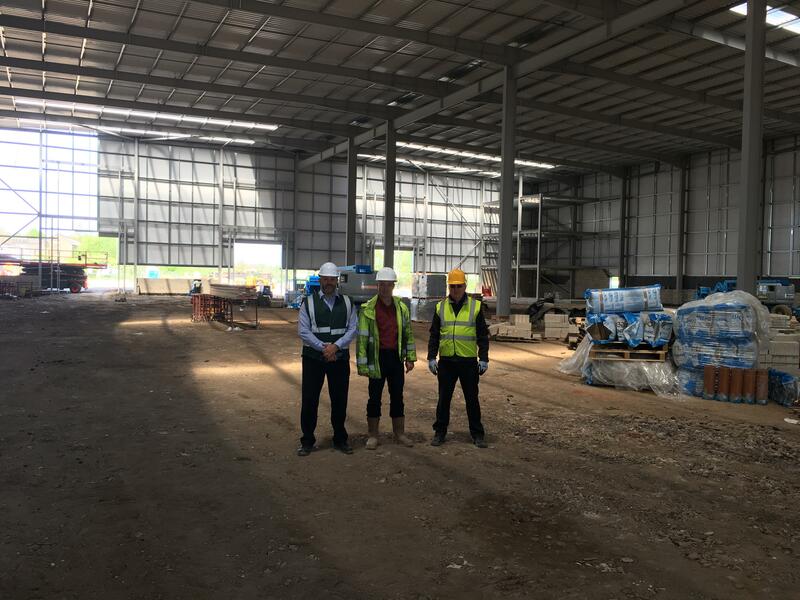 Having made rapid progress in the last two months, construction is on track for this new finished goods storage building which is due to be completed in June and expected to be functioning in July.